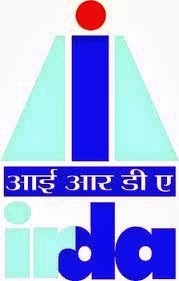 The Insurance Regulatory and Development Authority (IRDA) has said it hopes to grow insurance business in India this fiscal to touch the psychological mark of Rs 4 lac crore. The Chairman of IRDA Sri T S Vijayan said the regulator is chewing over to bring out norms for sub-brokers of insurance products to tighten insurance products distribution system. However, he didn't put any time frame for it. As compared to last year, this year there should be a good growth in business for all companies, both life and general, Sri Vijayan said on the sidelines of the Indian Institute of Risk Management convocation ceremony. Further, he said the regulator is working to see that both the insurance distribution and products come to a stage where they can contribute and address the real need of the customers propelling the industry to the next level of growth. IRDA approves products in such a way that there is little or no scope for mis-selling of products, he added.